Anyway! 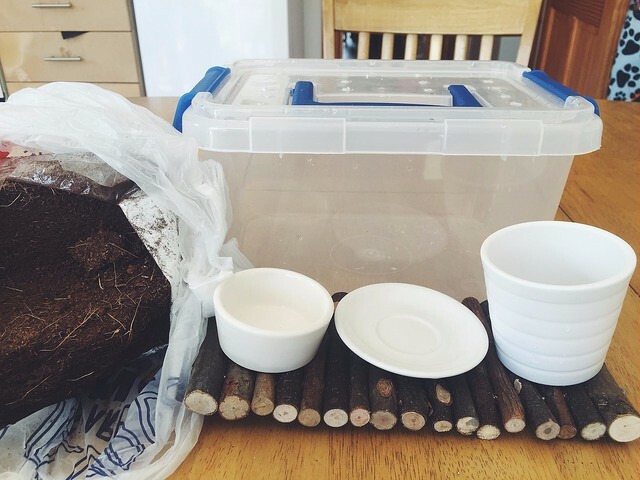 As I said, I didn't get any crafting done so I decided to do another Pets 'n' Stuff post! 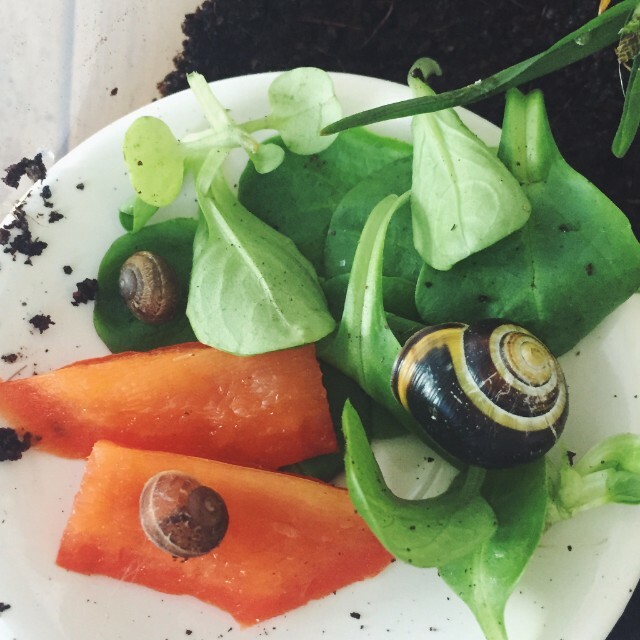 The inspiration for this post came from Instagram user, Slugs And Snails. If you're a fan of either of those things, do check out their Instagram as they have some real beauties. 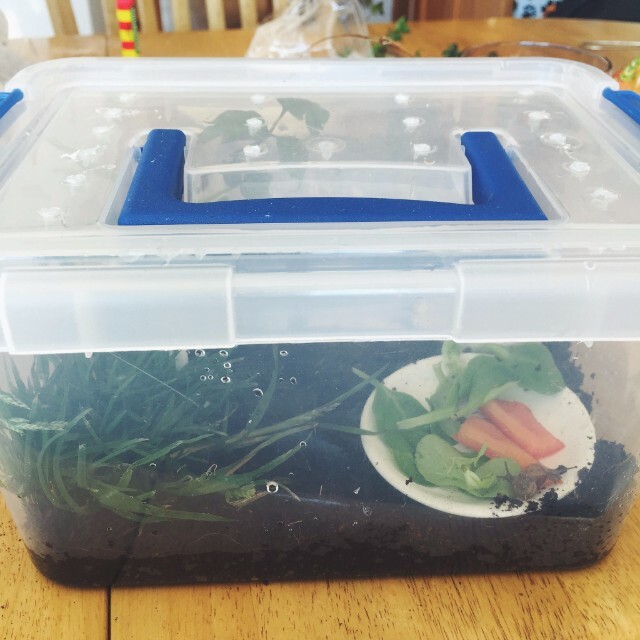 You may know my sister has a Giant African Land Snail called Gary. She's had him around eight or so years. He's such a cute big guy and recently I've been jonesing for my own but I just don't have the space for the size of tank it would need, nor a heat pad. So I told myself once have my own place I would get one. 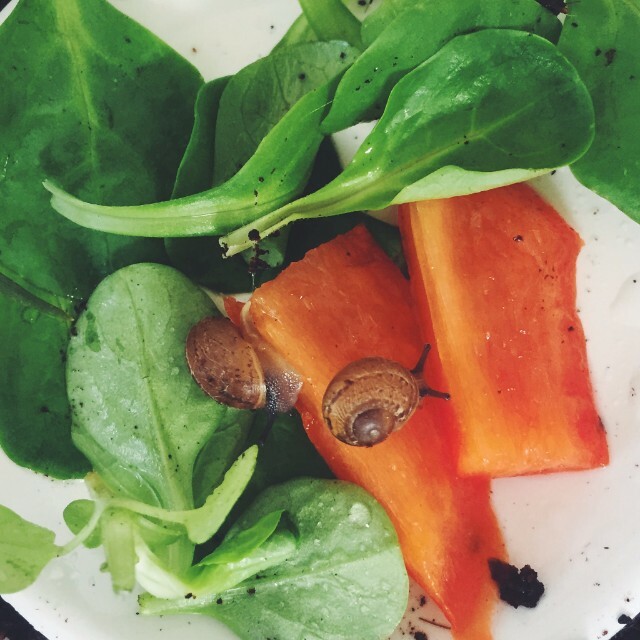 Then I came across the Instagram account mentioned above and seen that they, not only keep GALS, but also keep wild snails. 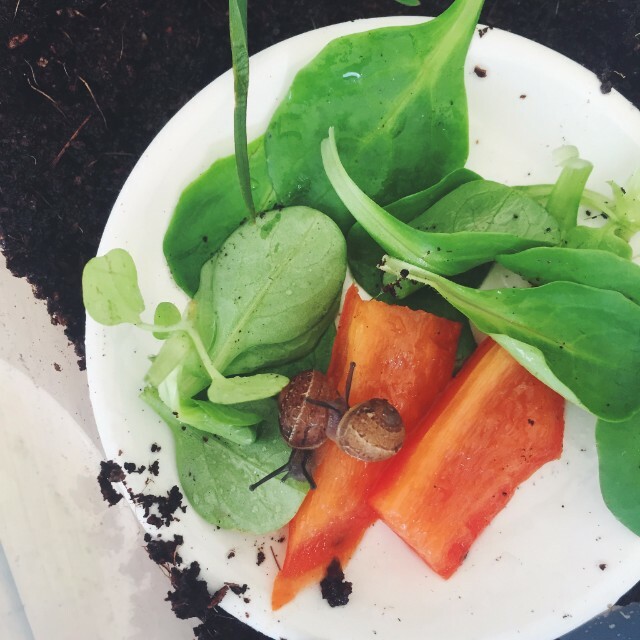 Regular snails you find in your garden. It hadn't occurred to me before but it seemed like a solution. I mean once you get over the novelty of GALS being the size of your hand, they're basically just the same. I'd been thinking it over, since I was a little bit worried about how my parents would react as they think my room is cluttered enough. 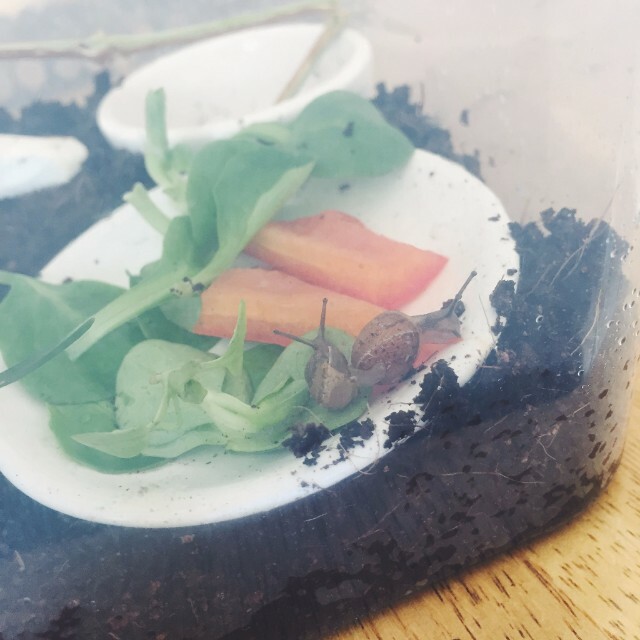 Then a few days ago I seen a few snails on the outside of my house. 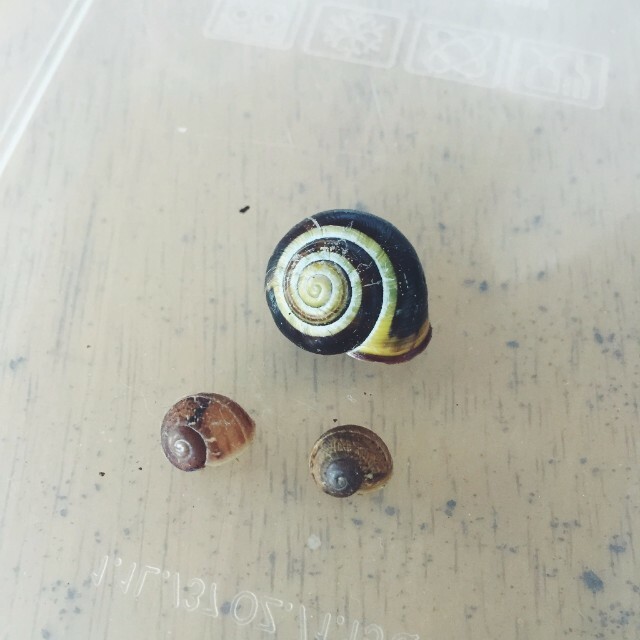 One of them was brown with yellow swirls, which I later found out is called a grove snail. A couple of days later it was still there and I told myself last night that if it was still there the next morning that I was going to keep it. Well low and behold it was there this morning! So I set about making it a home. I used some left over coir from when Eva cleaned out Gary for substrate. A little dish for water, a little plate for food and a little plant pot for a hideaway. I was going to use the little bridge I originally got for Rue, but it ended up being a bit for this tank. However, I do plan to upgrade to a Samla when I can get to IKEA. To begin with Eva drilled holes in the top of the box to make breathing holes. 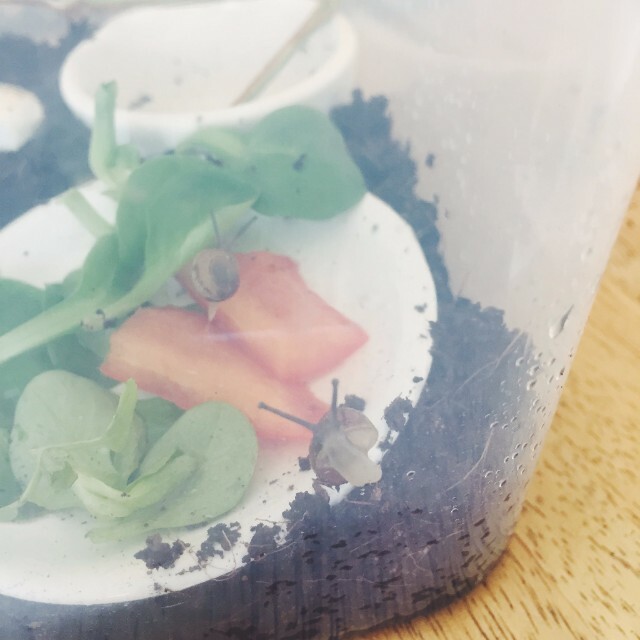 I already had my grove snail (cepaea) waiting for it's tank to be ready, but when Eva went out to get the drill she found it two little friends. And when I say little, I mean little. Two little baby Cornu aspersum. She found them both in the shed. One on the light switch and the other on the drill box. The bigger of the two was very retracted into it's shell, but the smaller was not so much. I imagine the shed hadn't supplied them with much food or moisture. Anyway! Then I set about putting in the substrate. 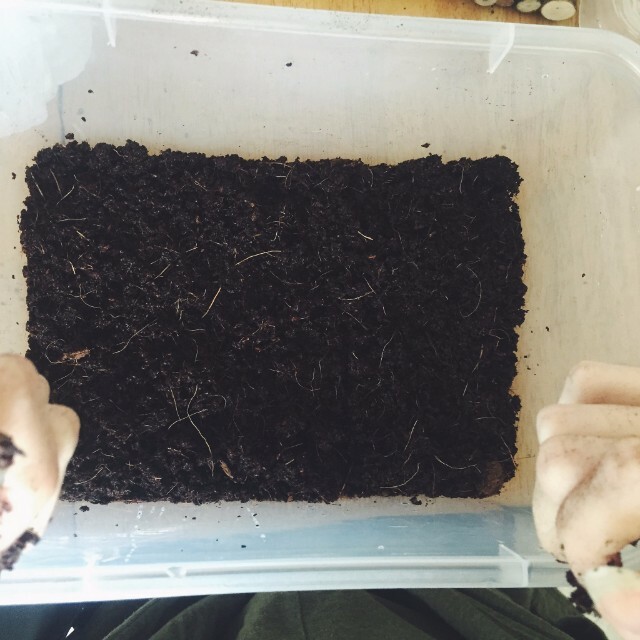 The coir is dried out and expands when wet. It's quite coarse when dry so I made sure it was wet enough without being too wet. Once I had the substrate in I set about putting in everything else and making it look pretty, including some lettuce and red pepper. I also asked Eva if I could steal a little bit of her cuttlefish as it's important for snails to have calcium for their shells. By the time I was done the tank looked like a mini version of Gary's tank. A couple of last minute additions to the tank was small branch and a patch of grass, roots and all, from the patio. I thought it was a nice touch. Then it was time to put them into their new home. 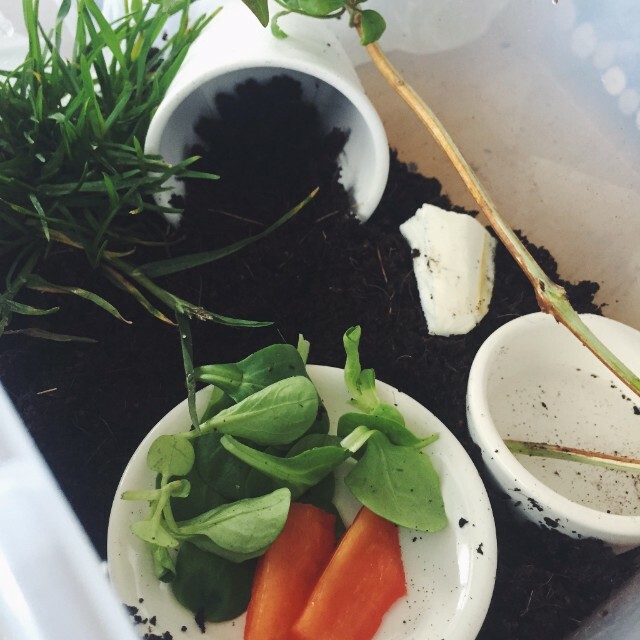 I set them on the food plate to see if some nice vegies would entice them out and then we scooted water around to make everything nice and moist for them. The smallest, now named Midge, was the least retracted and was the first to emerge from her shell. And sure enough the first thing she did was move to the edge of the red pepper and started nomming on it! She's so tiny and adorable. I know she won't always be tiny and Midge might not always suit, but the name just kind of stuck. Despite being the most retracted, the second to emerge was the bigger brown one that I've now named Tarzan. Again, it wasn't a name I planned but he really seems to enjoy climbing to the tops of the blades of grass, the branch and the side of the tank. So it just kind of stuck. He also seemed to start munching on the red pepper. I think it's going to be a favourite. 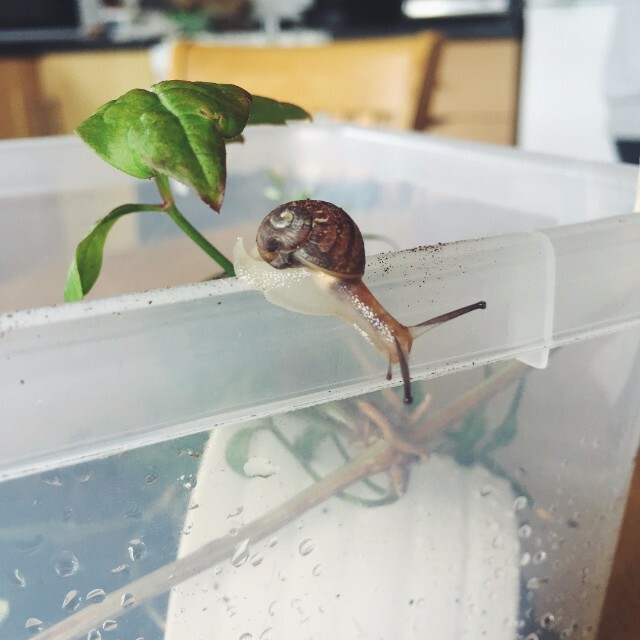 Eventually my grove snail (who's yet to be named. Suggestions?) emerged too and he's quite a dark beauty. He's got a little bit of scaring on his shell but it's all superficial damage luckily. 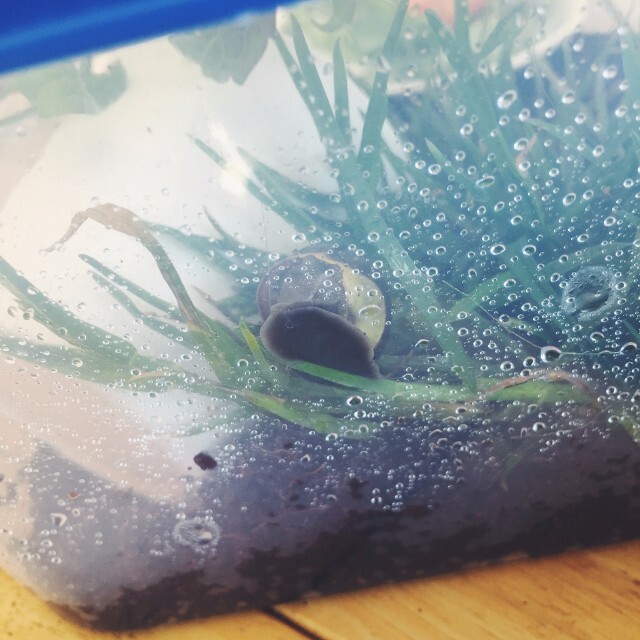 I'm hoping to find another grove snail to go along with him. One with a more yellow dominant colouring. 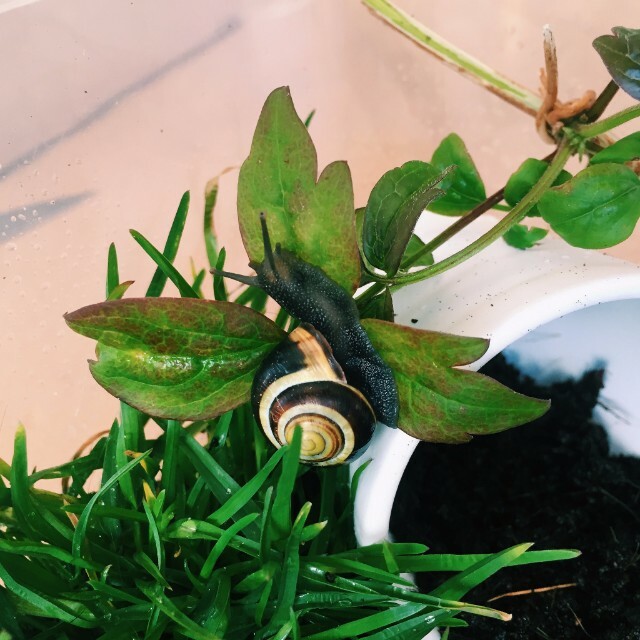 Just after I'd watched my little slimers settle in for a bit I turned to say something to my sister and outside on a plant pot on the windowsill, I seen a little brown snail making it's way up towards the very dead plant inside. I instantly wanted it! I don't know. It seemed like it was meant to be. She's smaller than the grove snail, but bigger than Midge and Tarzan. I never see a lot of small Cornu aspersum around. She's a little beauty. You might be able to see on her shell there is a bit of damage, which I only noticed a little later. I'm glad I did so I knew to be more careful when lifting her. I'm hoping she'll be able to fix it herself. It doesn't seem to be stopping her right now. 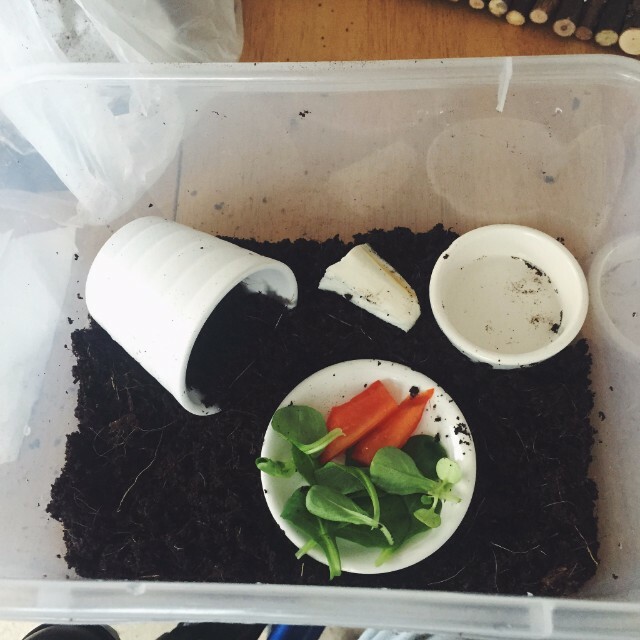 Eva might be adopting her as she's planning to make her own tank of garden snails. When I spotted her I had initially meant for Eva but I've gotten attached to her. However, if Eva does adopt her I know she'll be well taken care of and I'll still get to see her. Right now she's unnamed too, so if you have any suggestions for her please do leave them in the comments! 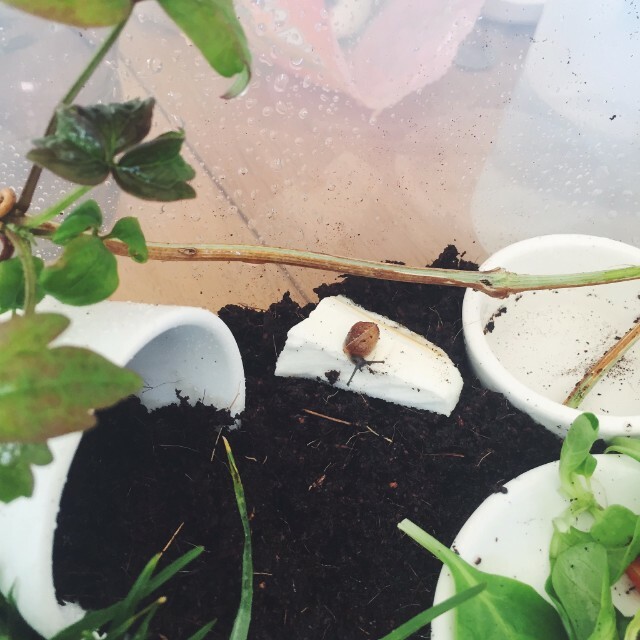 Here's some more photos of my little snail babies. Nameless Cornu aspersum having some noms! Tarzan adventuring up the side of the tank! All in all I think this is a great little temporary home for them. I'm looking forward to getting a bigger Samla box from IKEA for them as I'll be able to provide a lot more enrichment for them. It's also great because it's easy to spot them through the sides. I'm really excited to watch these little guys grow and see their different little personalities and coming up with different things to introduce to their tank etc. I'm hoping I come across another grove snail soon too. 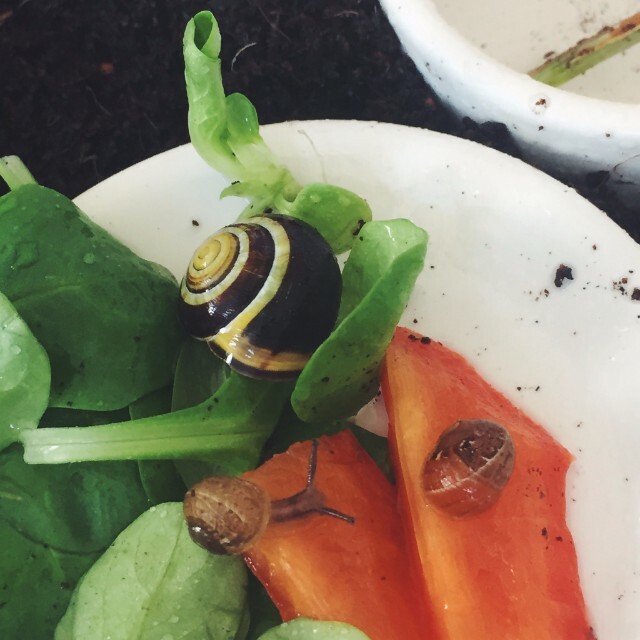 We've been having a bit of rainy weather lately so hopefully more snails will be out and about. So yeah, I hope you enjoyed the abundance of photos and if you have any name suggestions please leave them in the comments below! Aw how awesome is this!! 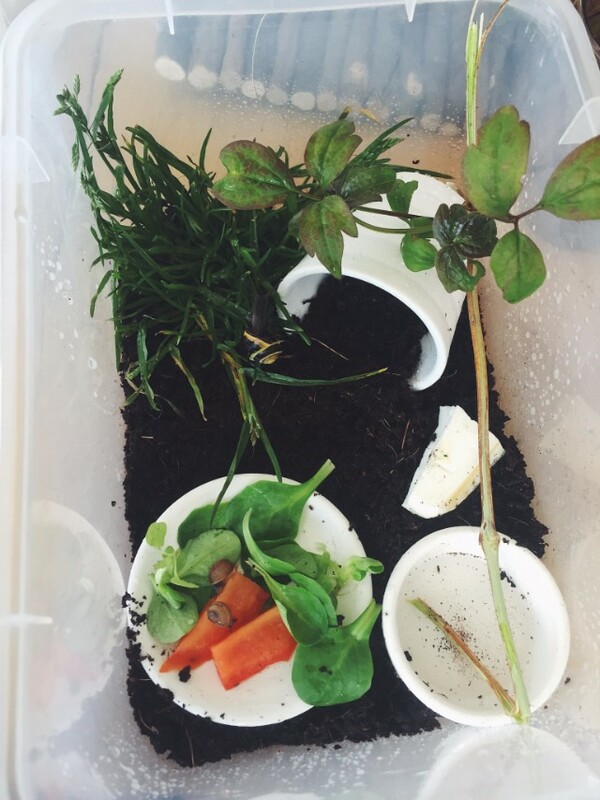 What a brilliant little home for these guys and I bet a lot better than many places outside! I love how kind and caring you are to animals great and small. Thank you! I had to decide whether I thought it was ethically okay since I'm usually not okay with taking most animals from the wild. So far they seem to be enjoying themselves, especially the food! Better than they're going to get in the wild for sure. And they won't come across a hungry bird or slug/snail pellets! 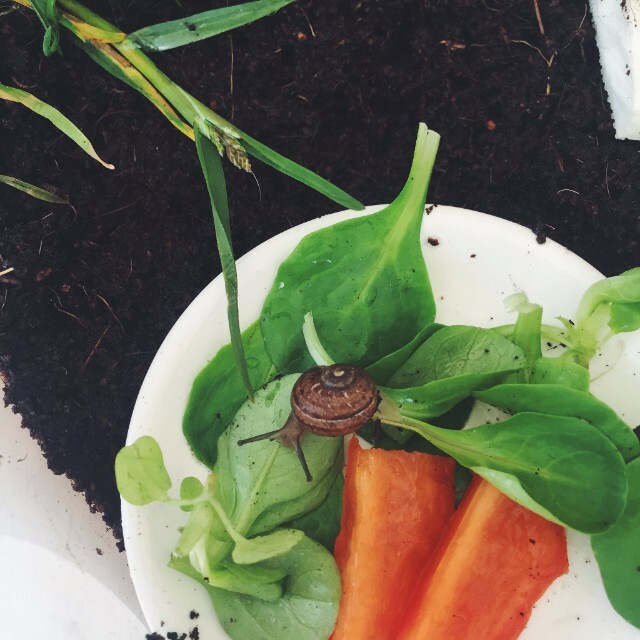 I LOVE snails! They are the cutest!